Our premium FAKRO blind will fit your window perfectly. Made from quality materials the blind sits flush into the window frame enclosed by two brushed aluminum side rails. The back of the fabric is coated with a blackout material which blocks all light from penetrating through the blind. The blind is fitted with a brushed aluminium handle that when pushed in adjusts the blind to any opening position. Our Fakro Blinds will fit your window perfectly and are extremely easy to install with only 4 screws. All you need is a screwdriver and five minutes of time. 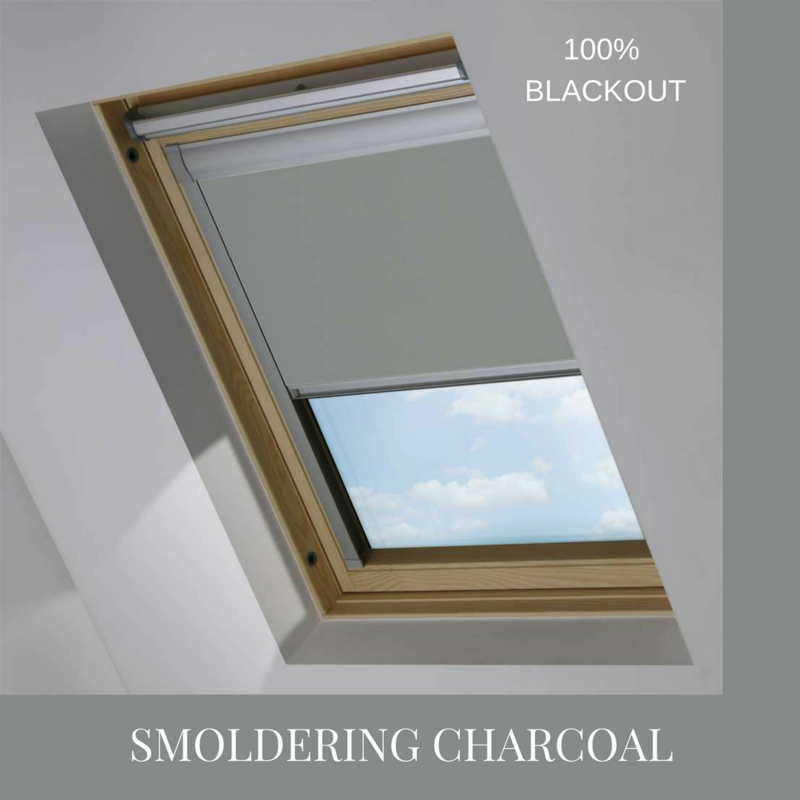 Each Fakro Blinds has been developed with their own performance features. 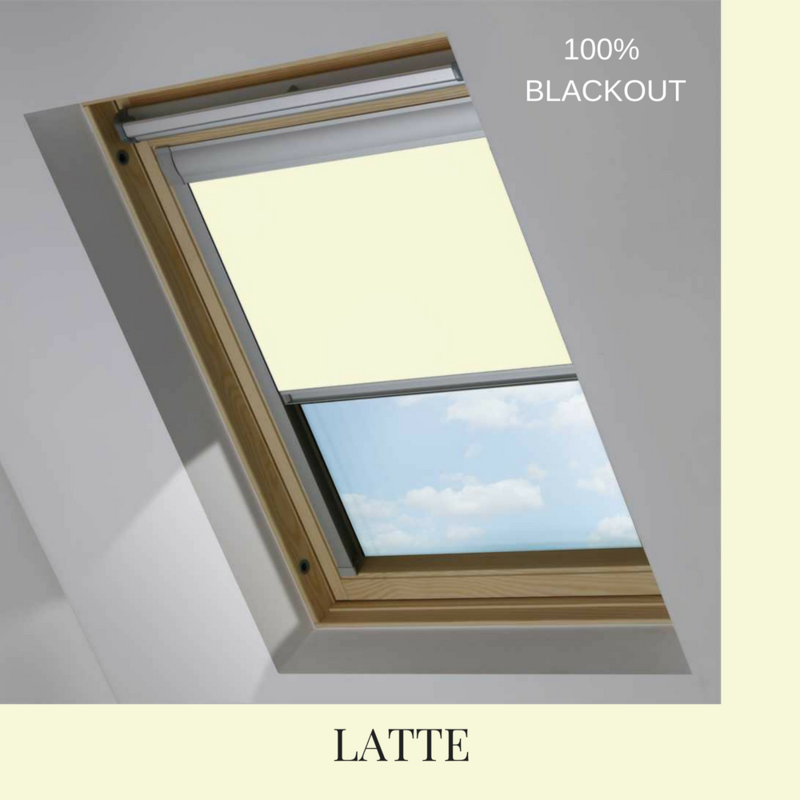 Our premium Fakro Blinds have a very important design feature which other types do not have. To be truly blackout, the blind must have a protective case on the back of the top cassette unit and our premium blinds have this feature. This has several benefits. It stops light leaking in at the top when the blind is fully closed, and it prevents the fading of the fabric by sun which results in bands of faded fabric. It also prevents damaging or marking the fabric during installation. So, for the competitive prices Bizzy Blinds offers, you are getting a higher quality blind. As well three-year guarantee plus a full choice of colours and fabrics our Fakro Blinds are a bargain. We have just added an ever-increasing selection of fabrics. We have just added fabrics suitable for all rooms to compliment your Fakro Blinds. 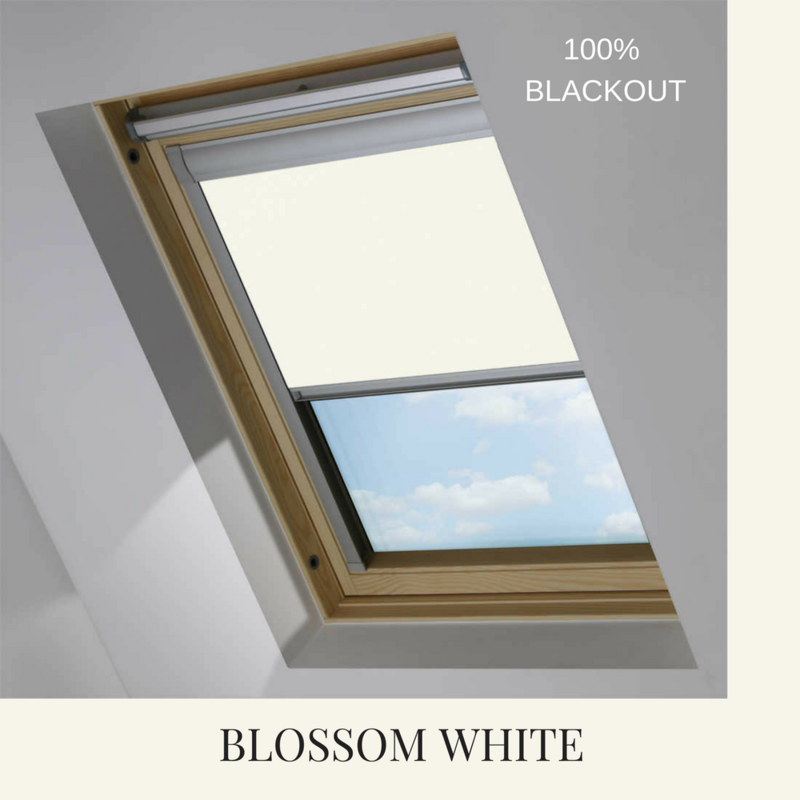 Our new brighter range looks fantastic on Fakro Blinds skylights. Available in a light grey colour, it is truly unique. We also have pastel blues and pinks as well as polka dot fabrics, sheep, leaves and dinosaurs. We will always be adding to this collection. Your FAKRO window should contain a unique plate stating the size details of your window. For example, Cp. This should be located on the window frame, or in some cases on the inner frame can be found by opening the roof window. If your window is not listed, please contact us.